Yesterday, I spent a few happy midday hours and an exciting lunchtime meeting with my friends Karen, Jack and Daisy at Walker Farm in Dummerston, Vermont. The 241-year-old farm has long been a popular and beloved local resource for organically grown produce and vegetable starts. But in its more recent history —having been featured by Anne Raver in The New York Times and other well-known publications— family-owned Walker Farm has become well-known amongst horticultural connoisseurs throughout New England and New York as an insider’s source for high-quality, rare and unusual annuals, perennials, trees and shrubs. 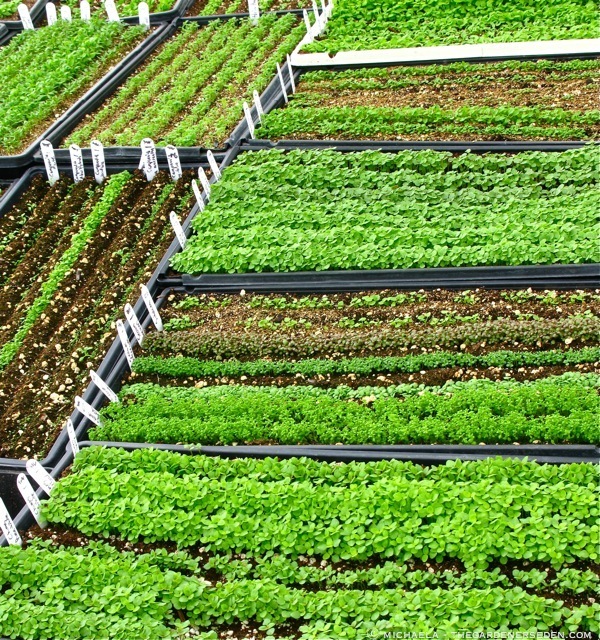 Inside nineteen greenhouses along the Connecticut River, each year Walker Farm grows more than 1,200 varieties of annual and perennial plants from seed. Walker Farm will be open on April 8th*, and at this time of year, the farm is literally buzzing with activity; with seed starting and vegetative propagation of plants in full swing. 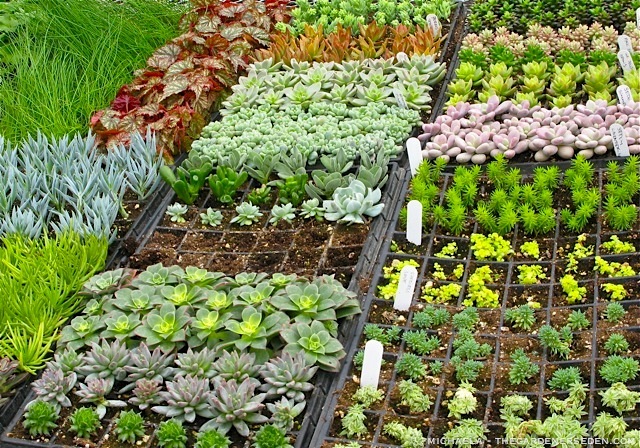 I’ll be writing much more about Walker Farm in the coming weeks, but for today here is a sneak peek at some of the young annual and perennial seedings and colorful succulent starts growing at the farm. As my eye took in the abstract, geometric shapes, patterns and delightfully saturated colors, I couldn’t help but compare the greenhouse landscape to that of agricultural fields, viewed from above. * Walker Farm‘s early opening date is for sale of cold-hardy pansies, seeds and garden supplies. 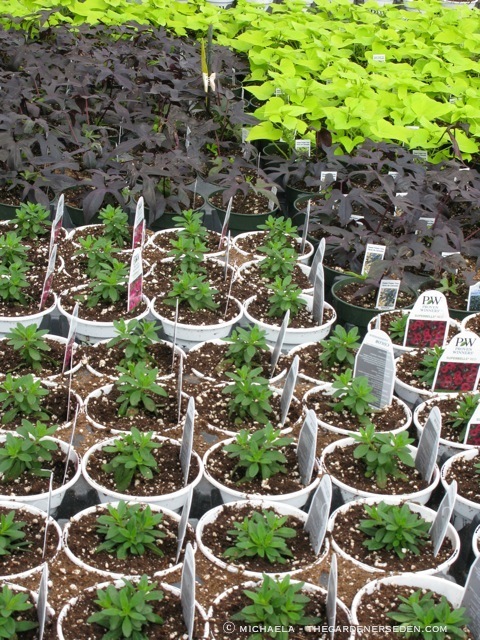 The sale of annual vegetable & flower starts and perennials will begin as local weather permits. 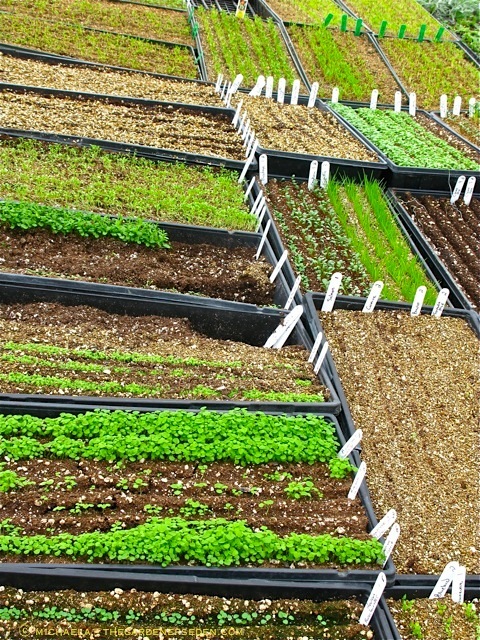 Please see the farm’s website here for details, plant lists, directions and other helpful information including a free, seed germination guide. You are currently browsing entries tagged with New England Perennials and Annuals at The Gardener's Eden.